My third and final module this week, Fallout: Edge of the Wasteland. I got to playtest this module and have made some changes to it, but for the most part I think it's ready to go. Here are the PCs that are wandering this particular corner of the Wasteland. Charismatic, talkative, personable, but his big mouth got him assigned to a Wasteland Scouting Mission by the Overseer. Cunning and agile, he’s almost as good with a laser pistol as he is with his silver tongue. He was told not to come back until he “made contact with another vault” or “found something really useful”. Hearing about Vault 20 on his Pipboy’s radio, he and his sister traveled south in hopes of finding it. Features: Artie's talents lie in his natural Charm. When that fails, he's pretty handy with a laser pistol. Be sure to use Inspiring Rhetoric to help allies and Disarming Smile to hinder foes. She is reluctant to go investigate a vault that is supposedly a refuge for ghouls and super mutants, but if this means she can keep her brother safe as he completes his “quest”, she has little choice in the matter. Features: With her mechanics as high as it is, look for opportunities to utilize it in any given encounter. Scrounge for parts or items when you can. She's a good melee combatant, and could really ring someone's bell if she's able to hit with both her wrench and her Ripper chain-sword. A part of Paladin Danse’s expeditionary recon team to the Commonwealth. Her squad was sent west to investigate the ruins of two of the largest universities outside of Boston; Worcester Polytechnical College and the Commonwealth University at Amherst. Her team found that Worcester received a direct strike from a nuclear bomb and was reduced to a radioactive crater. As they left the ruins of Worcester, the team was attacked by a mated pair of deathclaws. Only the Paladin and the team scribe survived, and the Paladin did not leave unscathed. One of the Deathclaws breached her helmet and put out her right eye. Determined to continue their mission, they elected to soldier on. Hearing about the broadcast from Vault 20, they proceeded north to investigate. Stone is agile and has an intimidating presence. She operates a T-45b suit of Power Armor with a compromised helmet, damaged in the same attack that took her eye. Features: Stone's greatest asset is her power armor, but her strong will and ability to intimidate others is an asset too. She is absolutely deadly with her laser rifle, and would be more so if she wasn't suffering a setback to most checks thanks to losing her eye. One of the more brilliant minds in the Archive House, Marvin has a very detached view of the world. Everything is a puzzle or something to be studied, even if doing so is likely to get him killed. Smart and strong willed, he has a tendency to state interesting, useful, or annoying facts at any given moment in spite of any danger he or his allies may be in. He was sent along on Knight Stone’s mission in hopes that actual field work would impress some sense of responsibility and restraint on his clinical nature. Features: Marvin's Intellect can be a great boon in any given encounter, look for ways to leverage Knowledge skills to place the party in a stronger position. He's good with his Auto Pistol, but there are likely better weapons out there to find. Finally, his skill with computers is rather high, keep an eye out of opportunities to affect encounters in your favor with it. A wandering trader from the mid-west. Her home town was destroyed by a radicalized faction of the Children of the Atom who set off a bomb in a nearby silo. She was the only survivor, and transformed into a ghoul as a result of the blast. Setting out on her own, she believed she could only rely on herself. Agile and sharp, she eventually found companionship with a similar social outcast and elected a begrudging, yet deepening partnership (and friendship) with Percival. The two of them were moving east towards Boston when they heard the radio transmission from Vault 20 and decided to go and investigate. Maybe they could trade for some supplies at least. Unable to fully cope with her new condition, Morgan has become addicted to alcohol since becoming a ghoul. Features: While not really skilled at stealth, Morgan is rather good at it thanks to her gear and her talents. With a high Cunning, she is naturally good at Deception, Perception, and Survival. She's also skilled with most weapons one can find in the wasteland. Due to her ghoulish nature, Morgan can actually heal wounds from one Radiation source, if need be. Once a servant of The Master until his downfall, Percy escaped the battles against his kind in the west. Traveling alone, he happened across a comic book store and a tale about King Arthur in the year 3000 A.D. In that book, the character Percival was a human who was mutated into a giant, monstrous humanoid brute. Simple minded but still possessing a noble heart, the comic book Percival fought valiantly alongside King Arthur. Percy, feeling an undeniable connection with the character, devoted himself to that cause; to be a noble knight and fight against the evils of the world. Meeting up with the ghoul, Morgan Fisk in his travels, the two of them have wandered near the area of Vault 20 to investigate its seeming sanctuary for all outcasts. Features: Percival is a melee monster and a walking tank, he should be up front drawing as much attention as possible. Remember that the shield he carries is a weapon too, and using two-weapon fighting to shield bash an opponent can be quite a handy seat up to a bumper sword strike. Look out for challenges that are bested physically. The second of three modules I'm running this week, and the first of my new modules debuting in a few days. The Hunt for White Spring takes place after the events of The Guns of Nova Rain and deals with the possible discovery of a lost Jedi Cruiser, rumored to be laden with the treasures of several Jedi Chapter Houses. The Empire has sent an Inquisitor to recover the ship and it's artifacts from a near-dead world, and the PCs have to hop to it to find the ship. Three characters from the Guns of Nova Rain are returning, along with three new characters. Captain Kaspar Rejent joined the Champala Military shortly before the Clone Wars. Serving as part of the Champala Auxiliary, Rejent gained noteriety leading small squads of soldiers in engagements against the Droid Forces of the Separatists. It was during this time that his Force affinity came to light, one of the Jedi Commanders commented to Rejent that his proficency with command was being augmented by inherent Force abilities. Much to his regret, the Jedi also mentioned that he was too old to be formally trained by the Jedi. When the Republic fell and the Jedi were wiped out, Champala became the location of a new regional academy for the Empire. The typical Imperial prejudice towards non-humans was not as prevalent on Champala, not at first anyway, but even so the Champala Armed Forces were mostly demilitarized. Rejent was moved to the Champala Imperial Academy, where he taught small unit tactics to the large number of humans who would make up the sector army. After teaching at the academy for 15 years, and watching the Empire destroy the memory of the Republic and the Jedi by degrees with each passing year, Rejent was recruited into the Rebel Alliance by a group of Academy students. Since joining the Alliance, he has come into contact with a small group of fellow Force Sensitives, and has decided to dedicate his life to the resurrection of the Jedi Order, with a few important changes in their training, of course. Rejent is militray, through and through. That's why the academy loved having him around, he was an exemplar of how a soldier should be during training; disciplined, by-the-book, and proper. He was placed in command of Commander Limi'r's old special forces squad when the old war horse finally retired after his last mission to Makeb. Making the squad perform at optimum efficency is his primary goal, but command is hoping that his assignment to the squad will force him to think outside the box and react on his feet, not adhere to a plan that may no longer be applicable to the situation. Anexa Panteer grew up as a member of the Alderaanian nobility. With the comforts that came with her family’s money, she was free to engage in whatever pursuit attracted her fancy at any given moment. It was during her teenage years that Anexa realized she could perform extraordinary feats of athleticism without much training. Consulting with some trusted family historians and advisers, she determined that she was calling on the Force. She secretly funded several expeditions in search of Jedi artifacts and relics to learn more about her abilities. While Anexa was away chasing down a lead on a Jedi artifact, the Death Star destroyed Alderaan. Anexa felt her friends, her colleagues, and her family die in an instant. Initially paralyzed by grief, Anexa recovered and threw herself at becoming a Jedi. She found a holocron and learned to harness the power of the Force to seek Justice against the Empire. Hearing that her fellow survivor, Princess Organa, was a member of the Rebel Alliance along with many other orphans of Alderaan, Anexa joined the Rebellion. Since the destruction of her homeworld, Anexa has become very protective of anything or anyone from Alderaan. Now that so little remains of her homeworld, she will go to great lengths and personal danger to preserve anything from it. 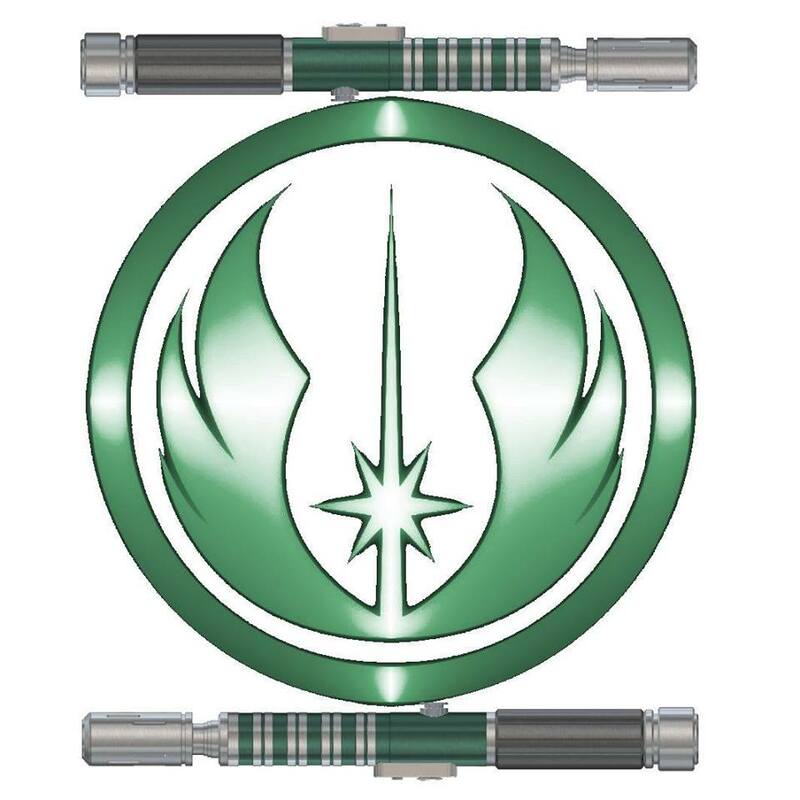 Anexa is pleased that more Force Users have been found, and have joined the alliance. She has struck up a fast friendship with Femi-Ka-Korrot, with each teaching the other more and more about lightsaber combat. She's not sure about Rejent, and wonders if his ideas on a "Jedi Military" is something she'd support in a new Jedi Order. Features: Shien Expert with the Enhance Force Power. Able to reflect blaster fire back at her attackers, and Force leap great distances as a Maneuver. Fights with a lightsaber. Femi-Ka-Korrot was a student in one of the Jedi Chapter Houses in the Outer Rim when the Clone Wars began. He was a puzzle to his masters; strong in the Force but was a problem student. It's not that he was lazy, it simply was that he had little interest in the full curriculum of his training. Femi liked making things, high tech things; possibly a side effect of his youth on the relatively low-tech world of Cerea. He'd spend all the time he could neglecting his other studies and instead fidgeting with computers and mechanical items around the Chapter House. His performance in physical tests were subpar, and his skill with a lightsaber was barely sufficient. When no master came forward willing to teach him formally, Femi-Ka-Korrot was discharged from the Jedi Order and assigned to the Jedi Explorer Corps. This actually was fine with Femi; now he could pursue his interests in relative peace. Then the Clone Wars ended and the Empire rose. Suddenly, he and his fellow Corpsmen were hunted down by the Empire and either killed or pressed into service. Femi and his corpsman Bayala Orest outran the Empire for almost a decade, living in the Outer Rim as transient workers, trading their technical skill for passage on freighters or berths on space stations. Eventually the Empire found them, and Bayala was captured. With no chance of rescuing her, Femi was forced to run. Surviving on his own for the next ten years, Femi relied on his own skill and expertise. The Empire had done a very good job of killing off the Jedi Order and discrediting them. They also did a good job oppressing the galactic populace, something that he couldn't abide. Femi wants to use his talents and discoveries to make the galaxy a better place, but first someone has to fix the galaxy and get rid of the Empire. Femi eventually got in contact with the Rebel Alliance to offer his mechanical services. Since joining, he's been transfered to a Special Forces squad to go on a very important recovery mission. Features: Artisan and Soresu Defender. High Intellect, high Mechanics. Has Imbue Item and a small smattering of Lightsaber talents. Be sure to use Imbue Item on self or allies to grant serious benefits. Fights with a lightsaber. Merci Blaise seemingly has flown it all; snubfighters, transports, gunships, capital ships, airspeeders, you name it. Eventually she settled on piloting light cruisers for the Republic Navy. Her superiors marveled at her ability to make the large craft dance around Separatist ships twice their size, and her knack for squeezing every possible bit of performance out of the warships. Blaise never wanted a command of her own, which was fine by her superiors. Not only would such a move pull a talented pilot off the helm, but Blaise has a problem relating to people in a civil manner. She's very blunt and direct, and not very approachable on a social level. Blaise served with the clone forces of the Republic until the end of the Clone Wars. When the Republic fell and the Empire was established, Blaise became a very outspoken opponent to the Empire. She advocated that the Jedi were not the murdering traitors they were being painted as, and that the Empire was a poor shadow of the Republic she swore an oath to. Her vocal tirades came to the attention of her superiors, and to the newly formed COMPNOR. Blaise was labeled as a troublemaker, accused of several trumped up charges of dissidence, and dishonorably discharged from the Imperial Navy. Recruited early on by the Rebel Alliance, Blaise has worked hard as a transport pilot, deftly landing troops into hot zones with precision and breaking Imperial Blockades with barely a scratch to her ship. She was recently assigned to a special forces squad sent to retrieve a lost Jedi Cruiser. Her familiarity with those ships makes her an invaluable addition to the team, especially if it turns out that the ship is intact and spaceworthy. Features: Ace Pilot with high ranks in Piloting and Gunnery. Has the Dead to Rights and Full Throttle talents. Fights with a pair of Blaster Pistols. Meteo Qulon was raised on Balmorra, where she was expected to follow the family tradition and join the army. Even before the Empire, the Qulons have served in the Balmorran military for generations. There were no indications that Meteo would be any different, she was tough and pushed herself to be in the best physical shape possible. She never backed down from a challenge, and seemed to soak up her father’s urging to always win, and always prevail. She would get into fights at the Academy, which her father would beam at when she found out she won. The reason Meteo fought seemed to escape him, however; Meteo got into fights protecting non-human classmates from human bullies. The night before Meteo was to report for Stormtrooper Basic Training, one of her classmates told her that he made contact with the Rebel Alliance, and he was leaving to join them. Knowing that many of her alien friends were doing the same, and that her training class would include many of the bullies she beat up over the years, she left Balmorra to join the Alliance. Meteo believes in the strength of diversity the Alliance was founded on. She knows that her squad’s weaknesses are diminished by the ethnic variety of the group. She became a medic to help keep her team in the fight, and uses her firearms to protect them as much as her stimpacks. Features: Heavily armored and armed Medic. Has several ranks of Stimpack Specialization as well as the Characteristic-enhancing Stim Application. Fights with a Repeating Blaster Rifle. Should use Stim Application at least once during every encounter. Koron “Kory” Vida grew up on Ryloth where he watched the Empire turn a blind eye to the Hutts slave trade. When most of his family was sold into slavery by his corrupt uncle, Kory stowed away on a freighter to escape a similar fate. His youthful charm endeared him to the captain when he was discovered, and he accompanied the Captain for a few years, growing up on the Outer Rim spacelanes. of every unit he was assigned to. Kory is used to this “beloved” status he has with his team, even though everyone still treats him like a kid. It’s certainly better than the alternative. Kory is seen as a good-luck charm in many regards. His personnel file is littered with instances of unbelievable survival and remarkable luck. Kory gets flashes of things to come, strong hunches of danger and has uncanny luck. He knows when attacks are coming, been in explosions that miraculously left him unscathed, and his teammates proclaim that they perform better when he’s in the field with them. Whether by luck, circumstance, or something more, the Force is apparently with Kory. With the departure of two of his old squadmates, Kory is enjoying the fact that he's now a squad "veteran", even though he's still happy to take on the role of "favored mascot". Features: Force Sensitive Emergent/Sharpshooter with the Foresee Force power. Able to enhance the Initiative Rolls of self and allies. Fights with a blaster rifle. It's been over a month since I've posted to the blog. I was on vacation for two of those and WAY away from Keyboard during that time. Aside from that, I've been writing like a mad fiend trying to get my modules all lined up for GNC 2016. I'm running three modules at the con, two of them new. I've been trying to get the last details written up and ready for the first session this coming Thursday, and I've still got a ways to go. That being said, I wanted to get something up on this site, and share with you all some of what you have to look forward to if you're coming to the Con. Returning to GNC 2016 is the first module in the "Knights of the Rebellion" story arc; the Guns of Nova Rain. Yes, it's a take off of the Guns of Navarone, but it's still a fun story. The PCs are members of a Special Forces unit sent to the planet Makeb to eliminate some deadly orbital cannons. The cannons are preventing the Rebellion from rescuing the beleagured 5th Army. Imperial reinforcements are only hours away, and the PCs must destroy the guns to allow the Alliance Fleet to pick up the troops so they can fight another day. Here's the Biographies for the PCs for that adventure. Commander Pagor Lim’r has served with the Alliance from some of their earliest engagements. A specialist in mountain combat and small unit tactics, Pagor has enjoyed testing the limits of how much damage his small unit could inflict on the seemingly infinite resources of the Empire. Pagor is a rather pragmatic commander. He doesn’t necessarily believe that the Empire is evil or that the Alliance is good, he joined the Alliance because they were the better alternative for the Nikto. As a commander he sees the bigger picture and knows that troops are going to die on both sides of a battle. Pagor doesn’t sacrifice his troops needlessly though; he knows that having troopers with experience are better than an endless supply of raw recruits. Still, sacrifices must be made to accomplish the mission. The number of engagements and the loss of so many comrades has started to wear on Pagor. After years of constant battle, he is looking forward to finishing his tour of duty and resting for a time on his homeworld of Kintan. He does not know if he will return to active duty afterwards, only that he feels his days as a combat commander are almost over. Maybe he’ll become an instructor and teach the next generation of recruits how to fight the Empire and win. Feautres: Master Tactician. Tough with ranks in Body Guard, Side, Step, and Field Commander. Fights with a blaster rifle, but his real proficiency is using Field Commander to grant allies extra Maneuvers and Actions. Weyan Boroko was content; he had a great career as an associate professor of chemistry at the University of Coronet City, a comfortable lifestyle, and an extensive Duresse Folk Music collection. When the Empire restricted the opportunities non-humans had in the Corellia sector, Weyan lacked the courage to object to the change in policy. Instead he buried his frustrations deep within, and it festered. When he was overlooked for promotions twice by the Imperial-advised Board of Deans, he grew bitter. Finally, when news came that an Imperial officer executed his brother and his Duros construction team at a TIE Bomber factory on Isinar, Weyan reached his boiling point. After mixing a highly effective chemical bomb with ingredients from the science lab and using it to destroy the Imperial attaché’s office (along with the attache), he left Corellia to join the Alliance. Weyan hates the Empire. They took his career, his family, and - because he had to flee so quickly - his music collection. He knows he should have spoken out sooner, should have told his kid brother to change jobs, should have done a great many things; but he didn’t. All he has left is a score to settle with the Imps, and his extensive knowledge of explosive chemical combinations as his currency. Features: Demolitionist Scholar. High Intellect with many explosive tricks; Time to Go, Powerful Blast, Selective Detonation. Look for opportunities to make things go "boom" and improvise explosives if need be. Asper Stirada lived the life of an independent smuggler. Danger, excitement, money; he had it all. His most frequent port of call was his home planet; Makeb. During a stop-over he met a beautiful zabrak woman named Jelia. They quickly fell for each other, and she became his constant companion for two years. The once-passionate relationship started to sour when she wanted more from their relationship, including a family. Afraid of commitment and losing the life he knew, he left her on Makeb and ran ; a decision that refused to sit well with him in the seven years since. Unhappy and despondent, Asper distracted himself for years by getting involved in high-risk endeavors. Eventually, Asper took one job too many, and found himself captured by the Empire for glitterstim smuggling. Overcome by a sense of irony, the Magistrate sentenced Asper to the spice mines of Kessel as punishment. During the trip to Kessel, his transport was attacked by the Rebel Alliance, who were there to free several of their officers who were also aboard. Asper convinced the Rebels to take him with them. Since then, he’s signed on with the Alliance as a sort of independent contractor, using his experiences and contacts as a smuggler to transport supplies, Alliance SpecForce teams, and sometimes even assist in a more direct role. He likes that he now has his high-risk fixes he craves, but also has back-up in case things go south. Features: Exceptional Pilot with Brilliant Evasion, Dead to Rights, and tricky target. Look for opportunities to pilot vehicles of all styles. Fights with two blaster pistols. Kory had waking dreams of an orange fiery bird, but never thought much of it. Eventually, Kory heard about the Rebel Alliance and saw their emblem and knew it was no coincidence. He joined the Alliance as an infantry trooper and due to his size, natural charisma, and enthusiasm became the favored mascot and kid brother of every unit he was assigned to. Kory is used to this “beloved” status he has with his team, even though everyone still treats him like a kid. It’s certainly better than the alternative. I'm going to be setting up one of these blog pages for each of my games. They may be boring for those of you not attending the game, but then again maybe you can datamine these entries for ideas for your own games.